Peter shows us how he holds down the papers using FastCap PowerMag and MagBand. For more information on FastCap’s MagBand, visit our website. For more information on FastCap’s PowerMags, visit our website. Today “2 Second Lean” receives the Shingo Research and Professional Publication Award! Very humbled! 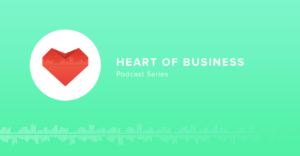 Paul Akers was a guest on the Heart of Business Podcast today. Check it out.